You know it's only a month away, right? 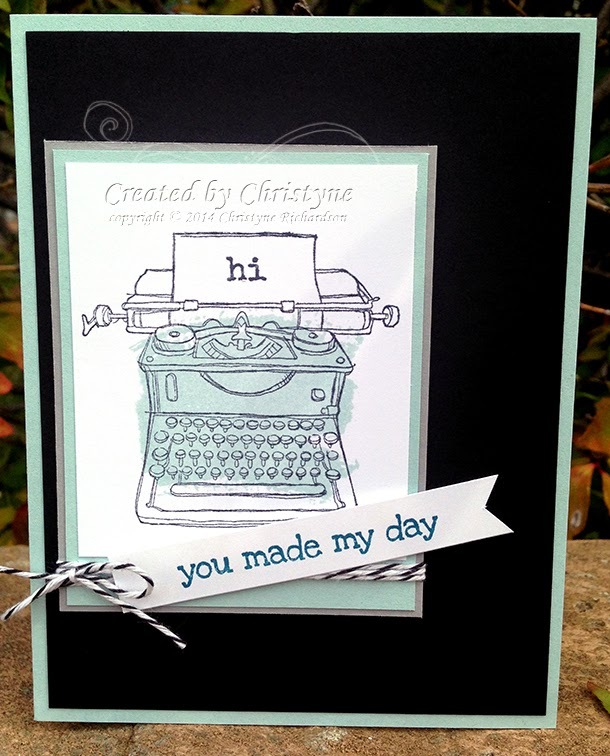 Today's card features one of the many Stampin' UP! Photopolymer sets called Christmas Bliss. It's a fun little set and my Boot Camp Class participants had fun creating with it. It was SO easy to position the Christmas balls stamp without even using the Stamp-a-majig because this is a photopolymer stamp set. I didn't even go cross-eyed with I created it - LOL! What do you think of the colours? They don't SCREAM Christmas, but I think they pull if off quite nicely. Thinking of you doesn't have to be blue! OK...apparently I'm on some crazy rhyming kick as I write these. Stop me if it makes you nuts - LOL! My blog posts are written quite a ways in advance, so I'm hopeful that this rhyming thing won't last forever! A lot of times, when you're thinking of someone, you're "blue" or sad because you miss them. Today, I decided you didn't need to be "blue" when thinking of someone, you could think of them with COLOUR! I shared the colour combo with Elizabeth and she agreed to use it for this week's challenge. I started off with a base of Blackberry Bliss and added a layer of Designer Series Paper from the Park Lane DSP Pack. That was followed by a piece of Pear Pizzazz and Melon Mambo around which I tied a length of Melon Mambo ⅛" Taffeta Ribbon. 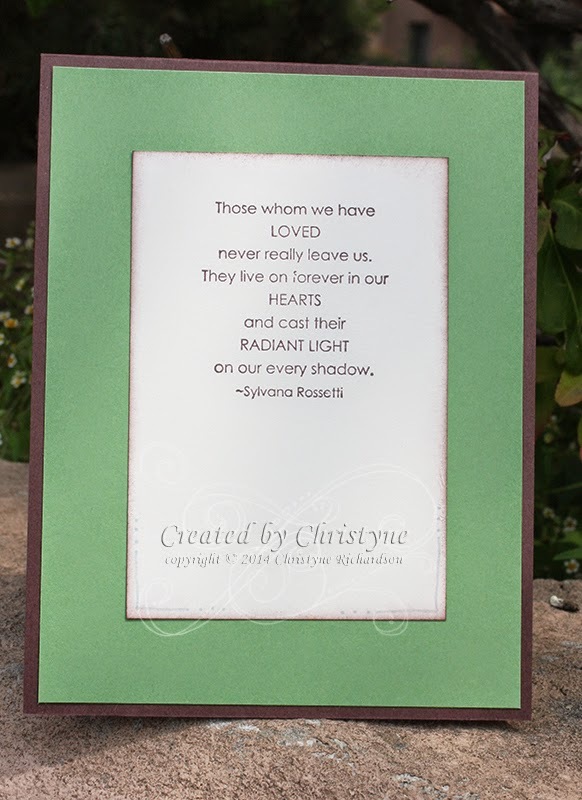 The sentiment was stamped in Blackberry Bliss Ink onto a piece of Whisper White Cardstock. One end was tucked under the ribbon. Can you tell what I did? I found a spot on the paper that had a flower sort of on it's own. I took out my craft knife and cut around it leaving it attached to the DSP. 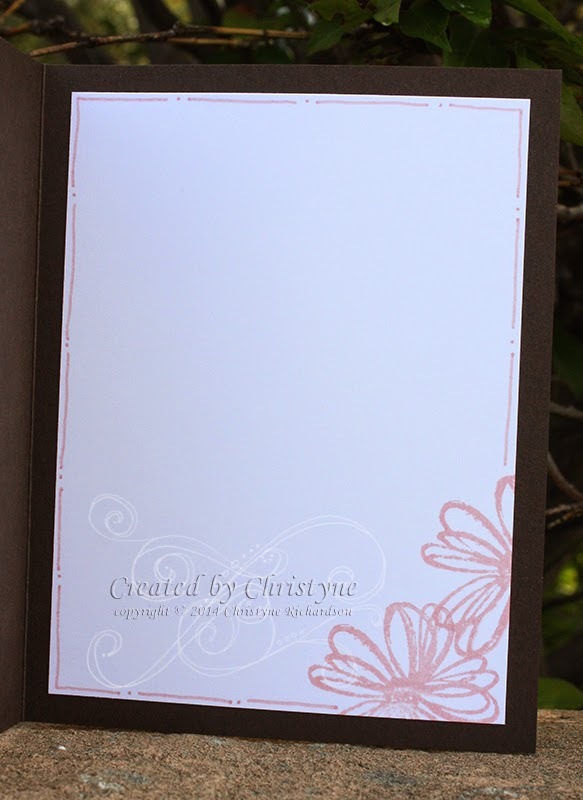 I was then able to tuck in the Whisper White Cardstock. I haven't taken my craft knife out in ages and it was SO much fun! Today is November 11th. Wherever you are, whatever you're doing, please stop and take a moment to remember those that fought for our freedom. It matters not in what country you live, you're free because others fought and died. 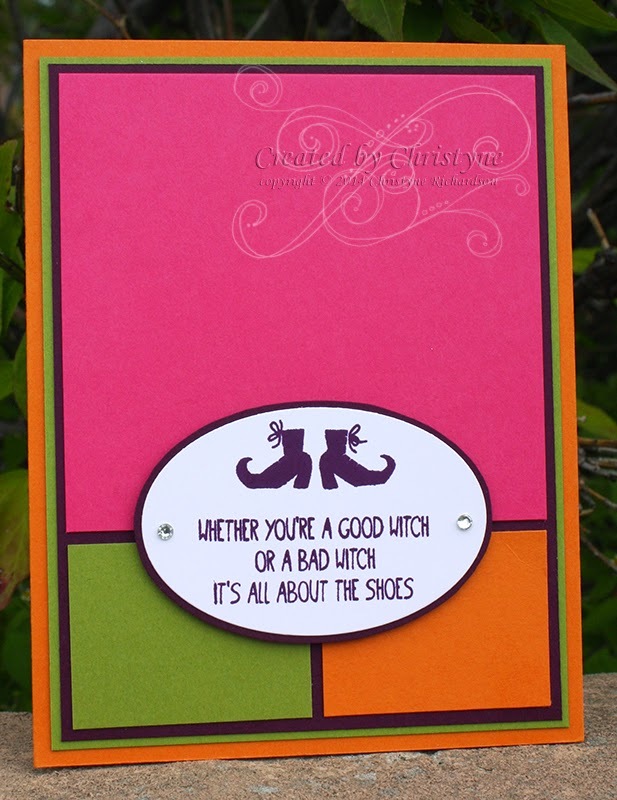 It seemed appropriate that today's card should be a sympathy card. 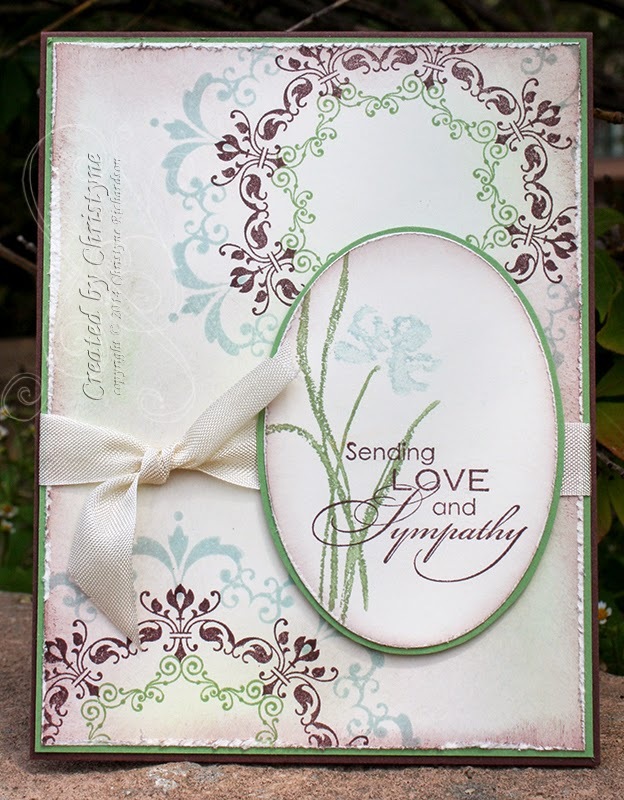 I know, from experience, that I never have a sympathy card on hand when I need one. And when I need one, the LAST thing I want to do is make one. I started off with a Chocolate Chip Cardstock base and added a layer of Wild Wasabi. 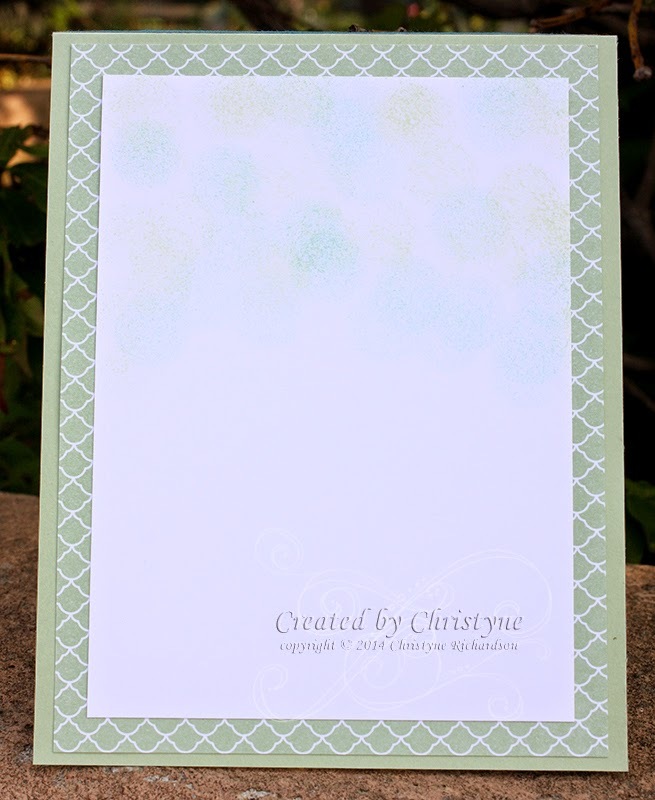 I stamped the Very Vanilla panel with images from Daydream Medallions using Soft Sky, Chocolate Chip and Wild Wasabi. I used my Stamp-a-majig to make sure everything lined up just the way it should. I haven't created a distressed card in a LONG time, so it was kind of neat to distress the edges of the Very Vanilla Layer. That, along with the extra ink on smooshed on, gave me just the look I wanted. For the main image/sentiment panel, I used my markers right on the flower from the Love & Sympathy set. I wasn't sure how it would turn out since the Wild Wasabi is quite a bit darker than the Soft Sky, but I was THRILLED with the result. The sentiment, stamped in Chocolate Chip, was perfect stamped slightly over the image. Remember this card from September? The largest stamp from Postage Due is a collage all on its own! All you need to do is stamp it and you're done. Of course, I never make anything THAT easy! 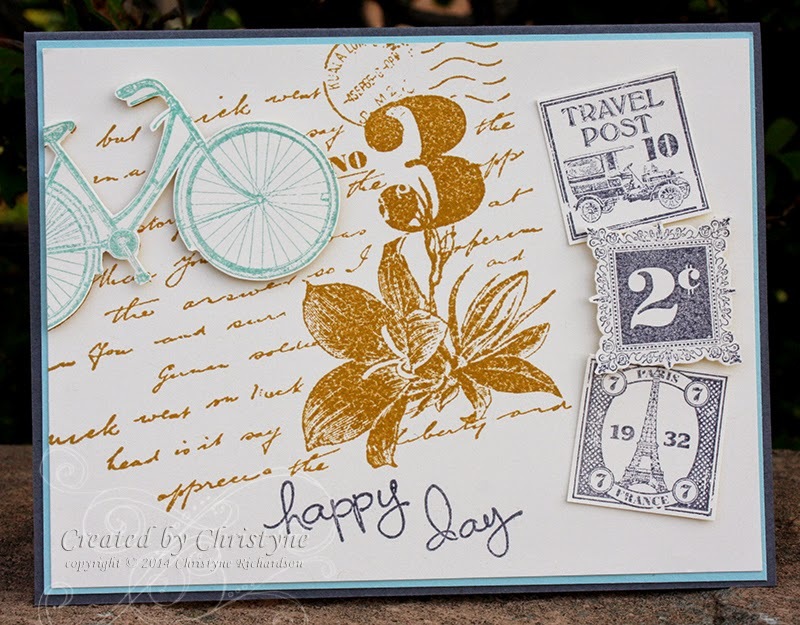 So, I stamped it once in Hello Honey Ink and then stamped it again (but just the bike this time) in Pool Party. Then I cut the bike out (in painstaking detail, because that's how I roll) and added it to the already stamped image using Stampin' Dimensionals. The sentiment is from Endless Birthday Wishes. Why is that? Because this year, our youngest son is in grade 6. He's in middle school and middle school kids don't hand out Halloween candy. Last year was the last year that I could be "that mom". You know, the one that makes the hand made tags? And the one that packages the chocolates in clear bags so everyone can see? Yeah...I was "that mom" and now those days are over. So, that's why I'm sad. This little tag was SO quick and easy to create. The stamp set, Merry Everything, comes with a coordinating punch, so I just stamped it and punched it out. Then I added a layer of So Saffron Cardstock behind it which I hand cut. 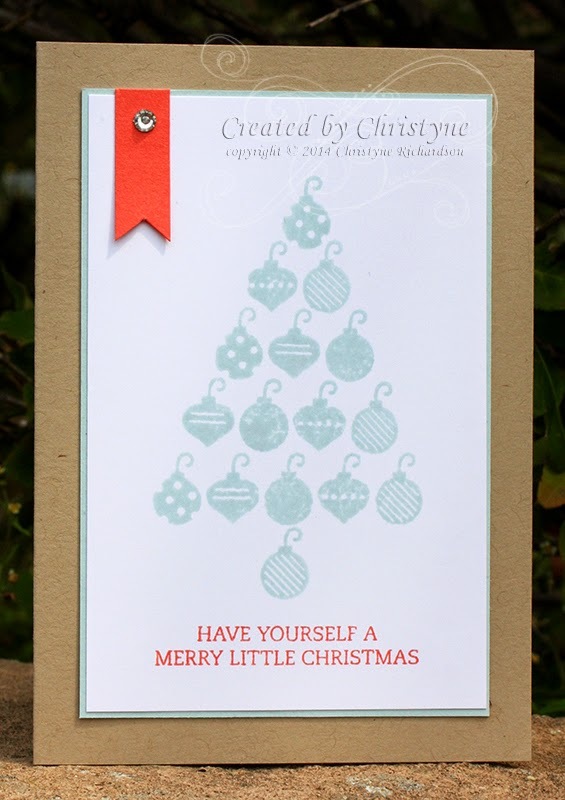 You could also hand cut the tag itself using the outline as a guide and then punch out your layer using the punch. Buy the bundle and save 15%! 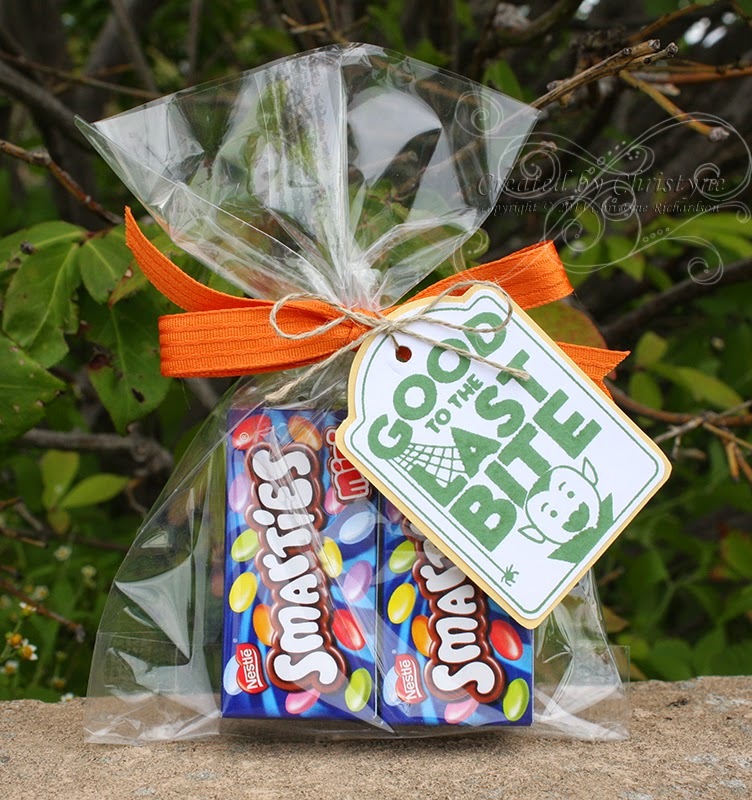 I did these up with Kit Kat bars for my class in September and everyone was THRILLED! I tied the Tangelo Twist Ribbon around the bag and then attached the tag with a length of Linen Thread. For today's card, I wanted to feature some Halloween Stamps. I wanted some bright and cheery Halloween colours, not spooky ones, so the colours for this week's DIVA challenge were perfect: Pumpkin Pie, Old Olive, Blackberry Bliss and Melon Mambo. When I first saw this technique posted by the lovely and talented Teneale, I was intrigued. I kept thinking to myself "But we don't have a stamp like that?" Simple, yet effective. Doesn't it make you feel like celebrating? I considered adding doodles, but decided that the dark contrast of the doodles would be too much for the soft confetti. Everyone LOVED it!! I'm considering offering a class called "Black and White with a pop!" Would you attend?? I started off with a Soft Sky base and added a layer of Basic Black. My image was stamped on a piece of Whisper White Cardstock and then layered with Soft Sky and Smokey Slate. 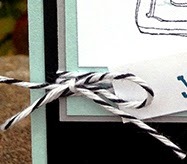 I love, love, LOVE Baker's Twine, so wrapping some of that around the main panel was a no brainer. The flagged sentiment, stamped in Island Indigo was the perfect finishing touch. 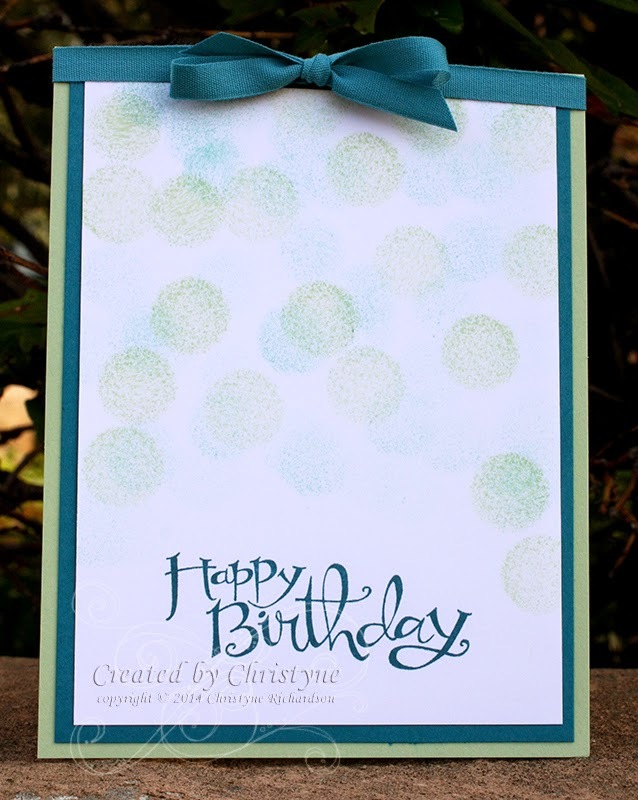 As a paper crafter, I'm always stamping ON something, but have you ever thought of stamping OFF? 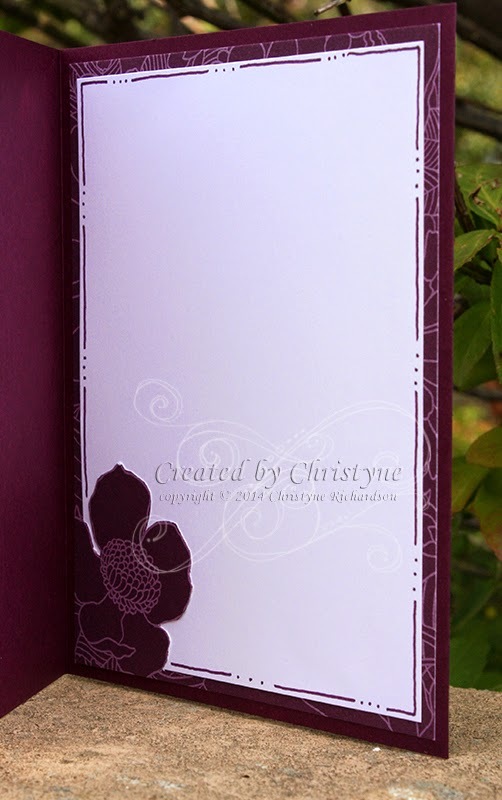 To create the background paper, I used Early Espresso, Blushing Bride and Sahara Sand Ink. But, they look nothing like that, do they? That's because I stamped some of the ink off before stamping it on to my Whisper White Cardstock. 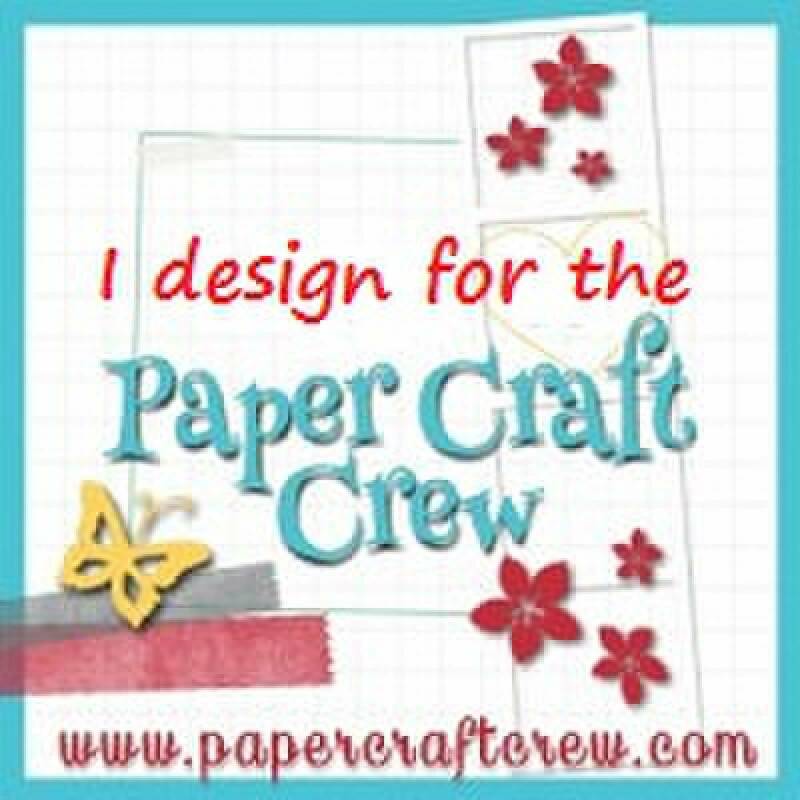 It's a great way to create your own paper if you don't have exactly what you're looking for in your collection. 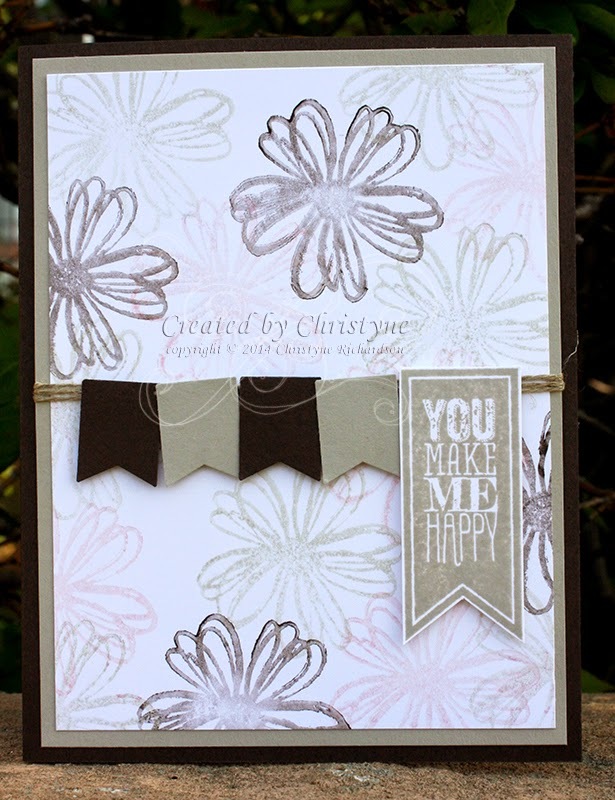 The idea for the banners was taken from the lovely and talented Shelli Gardner, the CEO and co-founder of Stampin' UP! She showed it to us earlier this year at Leadership and I've reproduced it a couple of times now. The sentiment is from Perfect Pennants (one of my favourite sets) and is stamped in Sahara Sand (at full strength) onto Whisper White Cardstock. I used my Big Shot to cut it out.